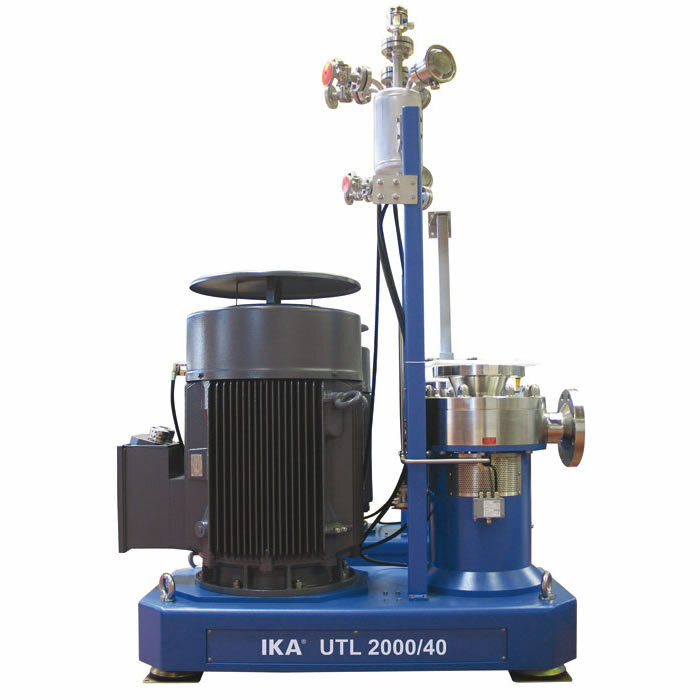 The IKA® ULTRA-TURRAX UTL 2000 is a high-performance single-stage dispersing machine used for the production of emulsions and suspensions in continuous operations. The UTL 2000 uses the rotor-stator principle and is best suited for continuous applications that cannot be accomplished using conventional stirring methods. The UTL single stage dispersing machine is equipped with a high flow mixing tool that provides moderate shear for the general purpose of blending and homogenizing processes. In order to configure the UTL to meet a variety of application needs, IKA offers a wide selection of generators for all machine sizes. Different generator designs allow adjusting the level of dispersing energy. In addition, they are also designed to accommodate materials of different viscosities and initial particle size. During the full continuous process the components to be mixed are fed into the machine at an appropriate rate through various inlet connections. These components are then thoroughly mixed, dispersed or homogenized within the machine and discharged from the machine through the outlet. Thus, all particles or droplets are treated producing a narrow particle or droplet size distribution with minimal concentration/quality variations. 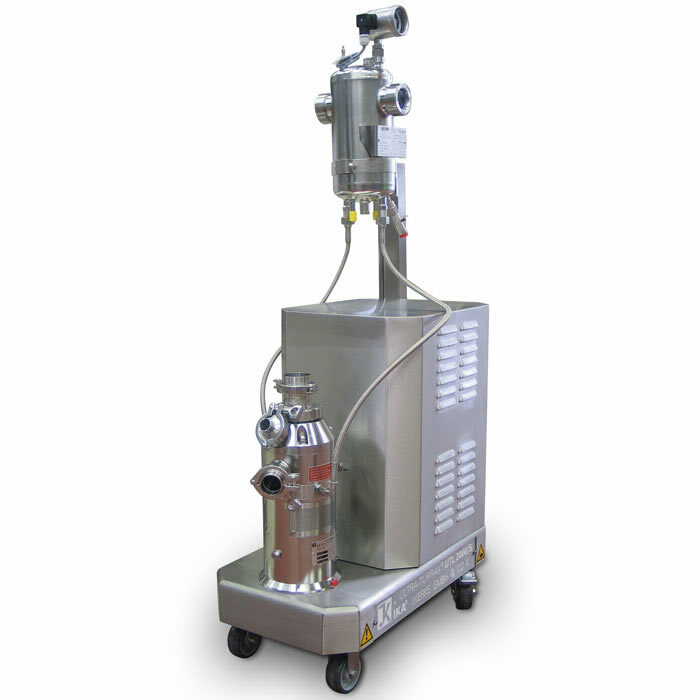 Additionally, the UTL 2000 creates a pumping action which can be used for transfer purposes at low to moderate viscosities with a maximum of about 20 m (ca. 2 bars). The high shear dispersing machine ULTRA-TURRAX UTL 2000 is available in eight sizes. The possible throughput varies from 50 l/h up to 125,000 l/h. All sizes of machines work with the same circumferential speed of the rotor which provides for a reliable scale-up. 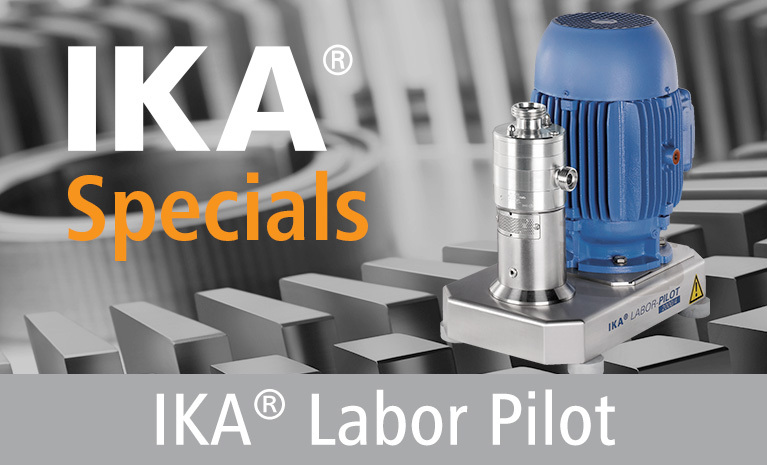 IKA® engineers and application experts are available to assist you with selection of machine type and dispersing tool as well as provide you with advice regarding installation of the machine into existing or new process systems. The UTL is a single stage dispersing machine used for the production of emulsions and suspensions requiring a coarse to medium particle size with a narrow distribution. 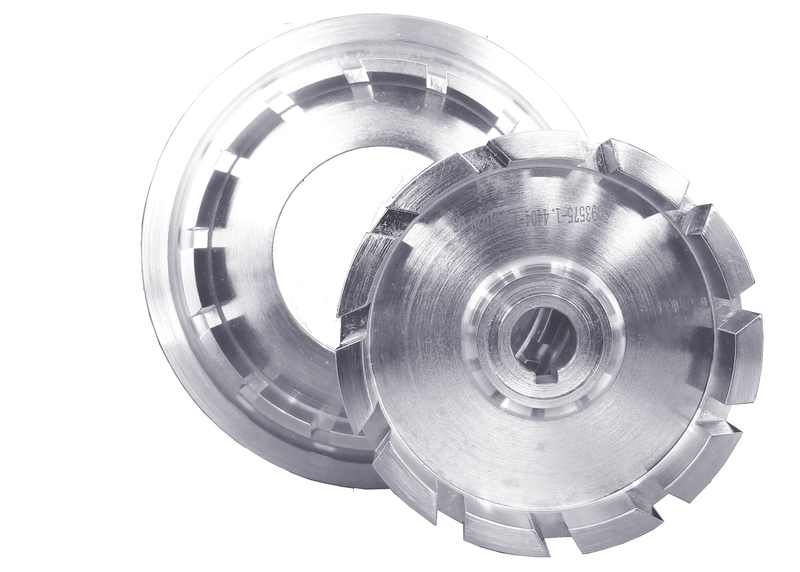 A wide variety of rotors-stator combinations (generators) are available for adapting the machine to the application. The UTL high shear mixer single stage dispersing machine is equipped with a high flow mixing tool that provides moderate shear for general pupose blending and homogenizing processes. 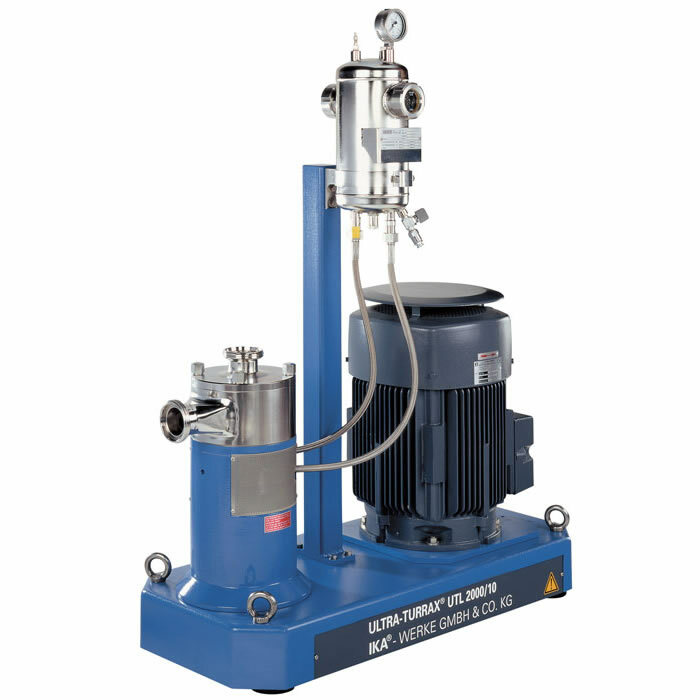 The 2P generator can also be used for materials that are shear sensitive, or particles that are too large to process in traditional high shear mixing tools. The UTL is also available as 3-A CIP certified.